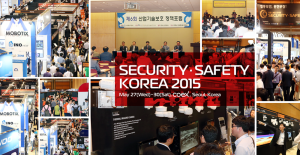 Visit our partner Mediacube at booth number SA117 at the 15th annual Security Safety Korea Exhibition from the 27th to 30th of May in Seoul for a personalized demo of Amped Software products. SECURITY KOREA 2015 has been writing the history of Korean security industry since its first exhibition back in 2001. It will definitely serve as the most successful marketplace for both suppliers and buyers that can further serve as the most efficient promotional tool for finding new markets. There will be 300 booths and an estimated 35,000 visitors involving 25 countries. This entry was posted in Announcements, Events on May 20, 2015 by Matthew Cook.